This charming 19th century manor house is set on a secluded 90 acre estate in Co. Mayo. Couples after a romantic setting for their celebration will be blown away by the venue itself, its pretty manicured gardens, woodlands and its signature red bridge, an idyllic spot for wedding photos. 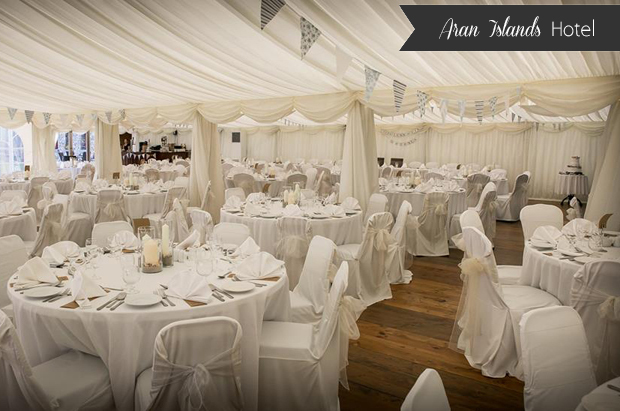 Whether you want a marquee celebration in the height of summer or a cosy winter bash with roaring fires, Breaffy House Resort will help you plan it to perfection. 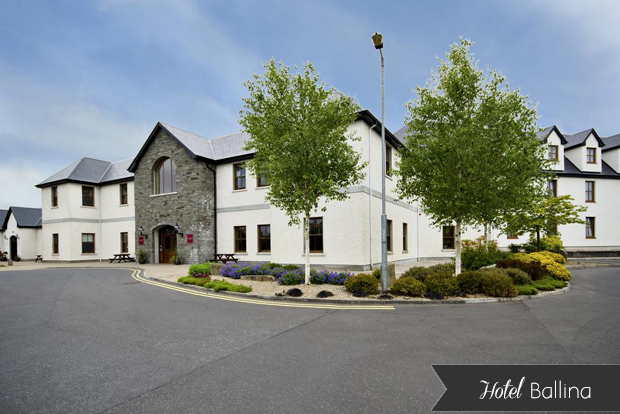 This modern 4 star luxury hotel located in North County Mayo is set against the stunning backdrop of Mount Nephin. 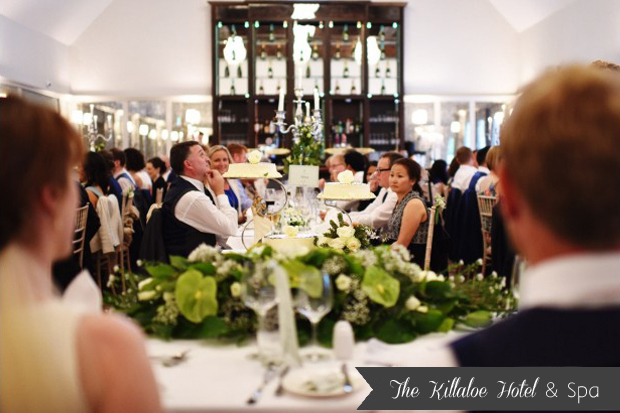 Renowned for its innovative wedding menus, excellent service and stylish surroundings, Hotel Ballina also has a great range of wedding packages with something for all tastes and budgets. 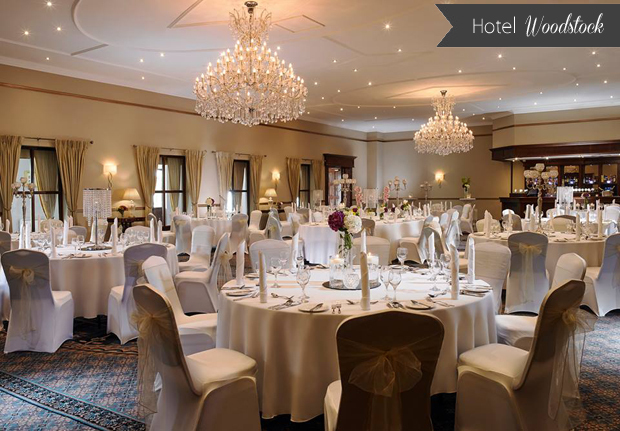 It can cater for up to 400 guests in its elegant Nephin Suite which has gorgeous mountain views, its own bar, and a wedding garden. 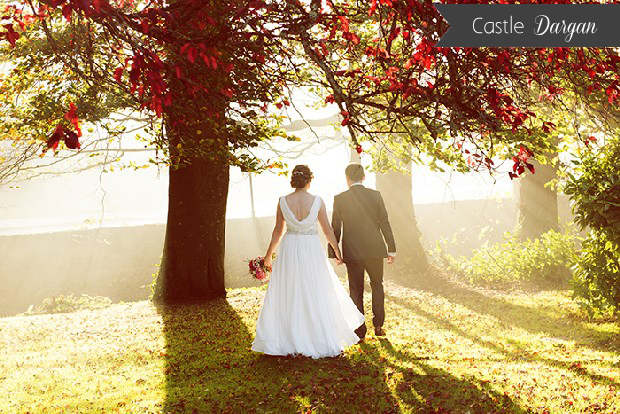 If you’re after a romantic, castle experience, the enchanting Belleek Castle Hotel is located on 200 acres of woodland and dates back to the early 1800’s. 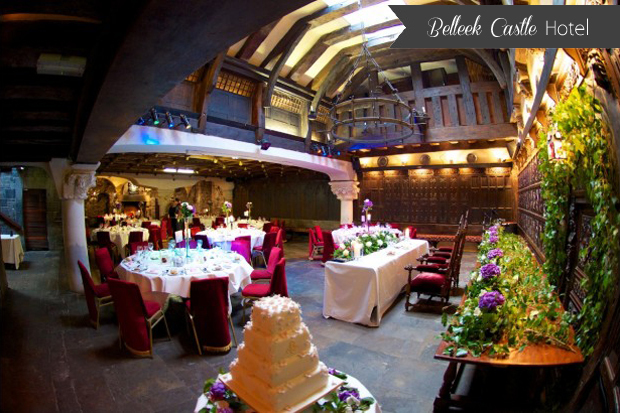 Their Medieval Banqueting Hall, located in the stone arched vaults, which formed part of the original Belleek Abbey in the 13th century is perfect for larger affairs up to 200 guests while their Library restaurant is ideal for smaller parties. 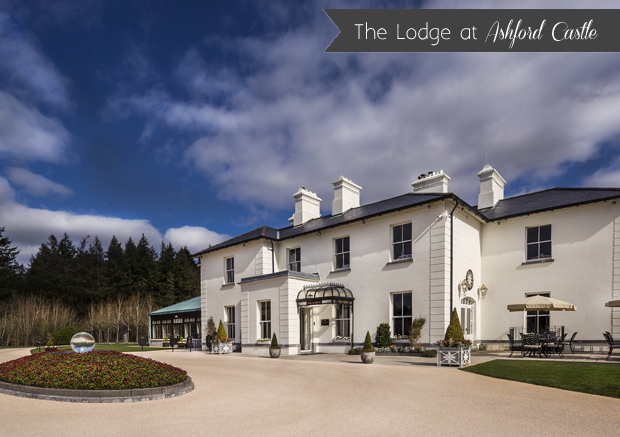 Winner of the 2016 Exclusive Wedding Venue of the Year, the stunning Lodge at Ashford Castle stands secluded on the Lisloughrey Quay in Cong, County Mayo and boasts commanding panoramic views of Lough Corrib. The breathtaking ballroom is brimming with natural light, can accommodate up to 186 guests and has gorgeous views of the lake. Smaller more intimate celebrations can also be catered for. Overlooking the crystal clear waters of Lough Dergh, AnnaCarriga is a romantic, lakeside resort. Couples can look forward to celebrating at the idyllic glass front Lakeshore Pavillion that overlooks the lake. Weddings can also avail of the AnnaCarriga lake boats, marina and jetties on the day so you can truly appreciate all this charming spot has to offer. Established in 1620, this Landmark Irish pub is bursting with character and charm. 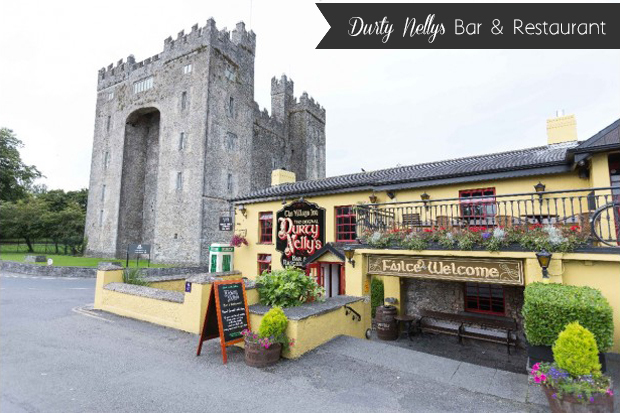 Its idyllic location next to the magical Bunratty Castle and its picturesque exterior makes Durty Nelly’s Bar and Restaurant a gorgeous setting for weddings. You can celebrate in its assorted bars full of historical artefacts and cosy snugs, its Oyster Restaurant, or its rustic Loft which boasts original vaulted ceilings and exposed beams as well as breathtaking views of the Clare countryside. 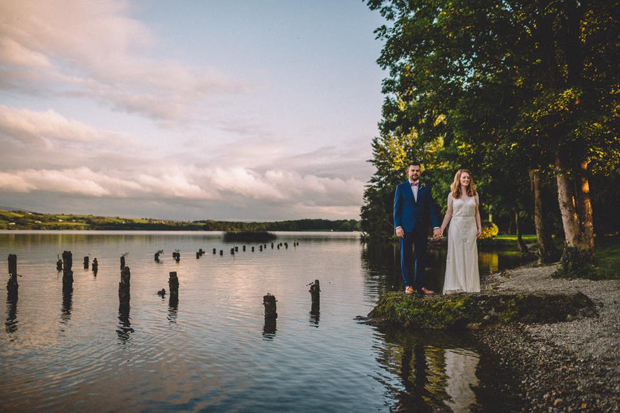 Nestled in beautiful woodlands overlooking Lough Derg, Clare’s Killaloe Hotel is an idyllic spot for weddings. They have a strict ‘one wedding a day’ policy so you can be sure you have their undivided attention and pride themselves on creating a unique and personalized experience. Couples are spoilt for choice when it comes to photo locations with their Marina Gardens, the pergola and lakeshore. Situated on 155 acres of beautiful countryside, Hotel Woodstock can be found in the market town of Ennis, Co. Clare. Couples can look forward to a red carpet welcome and a luxurious setting for their Big Day – the elegant ballroom can cater for up to 350 guests. They offer all inclusive-packages that can be tailored to your requirements and have a one wedding a day policy. 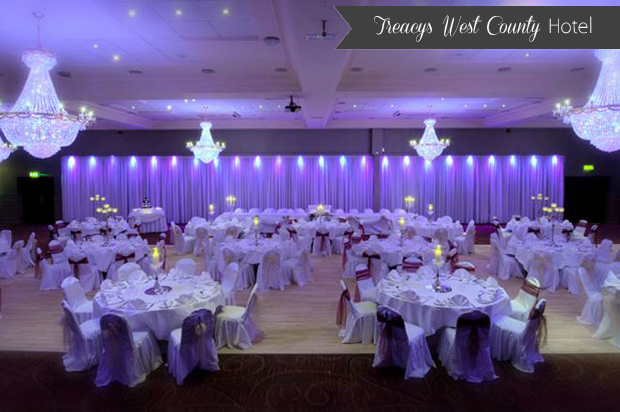 Contemporary and relaxed, Treacys West County Hotel in County Clare is conveniently located in Ennis, Co. Clare. This charming hotel is renowned for its excellent service and delicious food and can cater for up to 500 guests. 2017 couples can look forward to availing of their new, specially commissioned wedding garden – the perfect backdrop for gorgeous wedding photos. Set within the confines of a stunning 170-acre country estate with fresh water brooks and rolling hills, the 4* Castle Dargan dates back to the 18th century. Castle Dargan’s luxury wedding suite, the beautifully appointed Ormsby Room, has floor to ceiling windows with stunning panoramic views of the countryside and golf course. The venue prides itself on its superior attention to detail, excellent cuisine and warm, friendly atmosphere. Nestled between the beautiful vistas of Sligo Bay and Benbulben Mountain, the 4* Radisson Blu Hotel & Spa is a contemporary, luxury hotel 5 minutes from Sligo town. They offer all-inclusive packages with an extensive range of decorative items included to ensure your planning is stress free. And their dedicated coordinator is on hand every step of the way to ensure your dream wedding is just that. 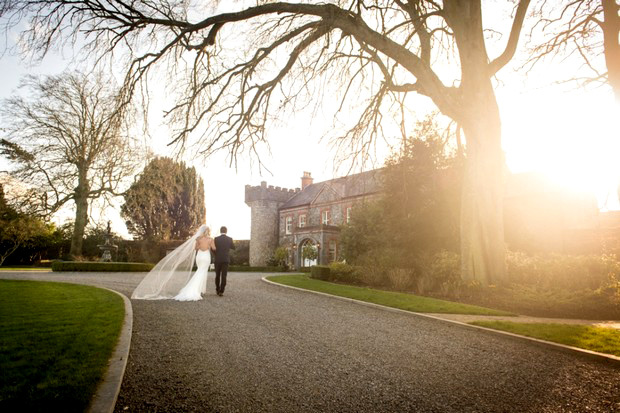 Set in a secluded 500 acre estate in County Sligo, Markree Castle is the ultimate in romantic, Victorian style luxury. Lovingly restored, the castle retains some stunning features. 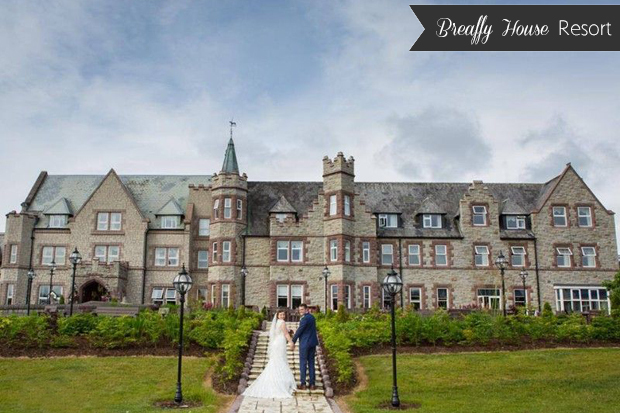 Couples can exchange vows in the castle’s original Victorian Gothic chapel before retiring to the striking gold and duck egg blue Grand Golden Ballroom for a night of fine dining and dancing. 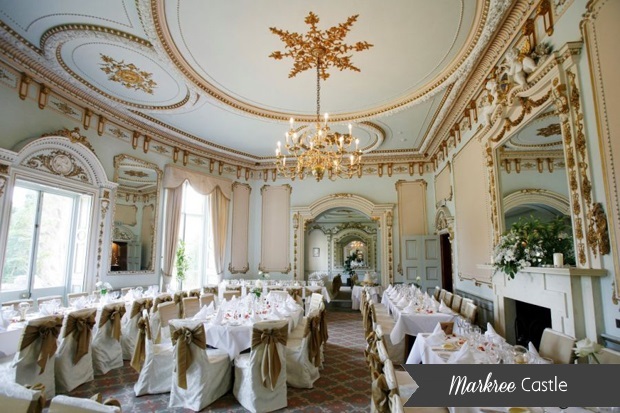 Markree Castle can host up to 150 guests. Just a few steps from Enniscrone beach, the Oceans Sands Hotel is brimming with coastal charm. Set in the sheltered haven of Killala Bay overlooking the Atlantic, couples after a romantic seaside wedding will love its perfect location. The beautifully decorated ballroom with fairylight backdrop also takes full advantage of the gorgeous surroundings, with views that are sure to impress guests. Located on the edge of Sligo town in the heart of Yeats’ Country, the Sligo Park Hotel is set in a quiet parkland with lots of stunning scenery on its doorstep. 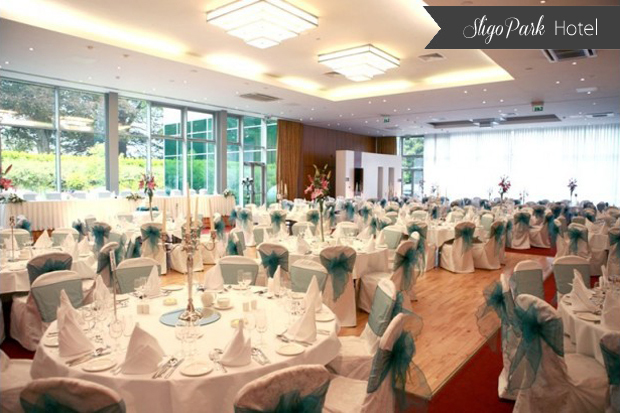 The airy and spacious Sligo Park Suite can host 340 guests and boasts floor to ceiling windows with an abundance of natural light. The hotel has a range of attractive packages with lots of little extras included such as chair covers and a range of centrepieces. 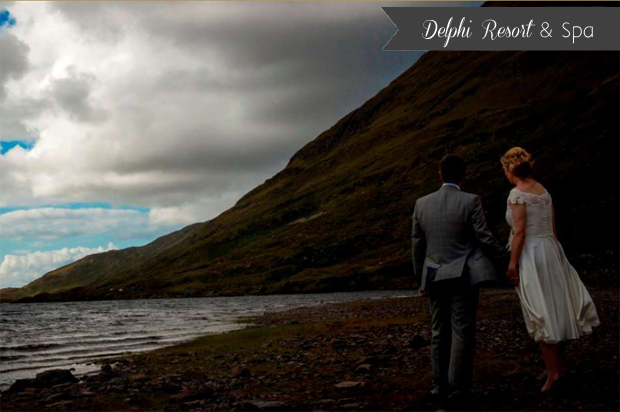 Surrounded by the majestic Mweelrea and Twelve Bens mountain ranges and set within 300 acres of forest, the breathtaking Delphi Resort & Spa is located in Connemara in Co. Galway. The resort’s rugged, unspoilt scenery is the perfect backdrop for endless photo opportunities. Delphi prides itself on its personalised approach with tailored packages – you can also book the venue on an exclusive basis. 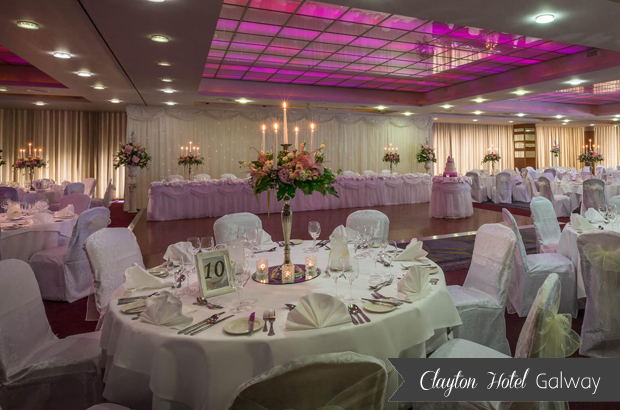 The stylish and contemporary Clayton Hotel is a gorgeous four star venue close to Galway city that can cater for up to 400 guests. Weddings are held in the Clayton Ballroom, on the first floor of the hotel, which is bathed in daylight, has two private bars and a portable dance floor and stage. The Clayton Hotel prides itself on its professional service, exquisite cuisine and acute attention to detail. 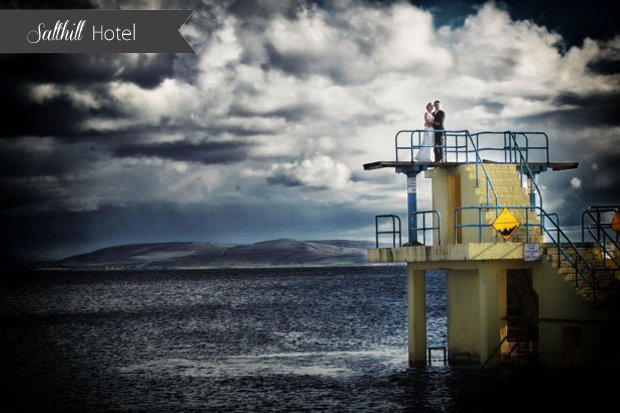 With its stunning sea views, Galway Bay Hotel is a fabulous option for couples looking for a picturesque venue in the west with endless photo opportunities. 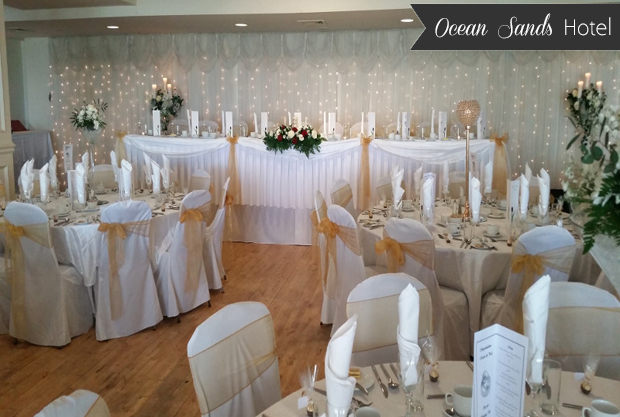 Couples have a choice of two spacious ballrooms for their celebrations, the Lettermore and Ballyvaughan Suites, both of which enjoy stunning views of Galway Bay and the Clare hills. They have a one wedding per day policy. Nestled into a peaceful harbour on the edge of the Atlantic Ocean, this idyllic island escape can be exclusively yours for your special day. 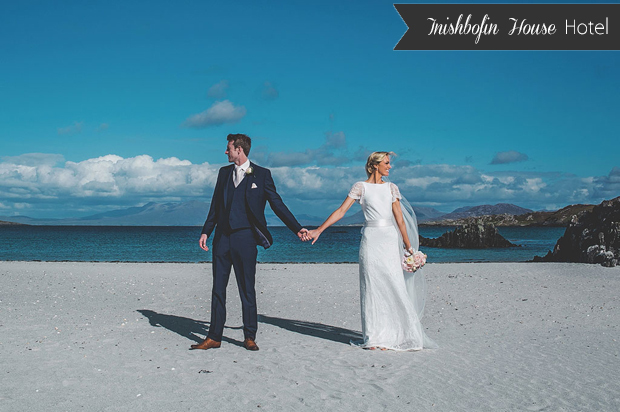 The award-winning Inishbofin House Hotel & Spa is surrounded by the most magnificent scenery, which you can take advantage of during your drinks reception on their sun terrace or lawn. Their elegant banquet suite also boasts pretty harbour and ocean views. 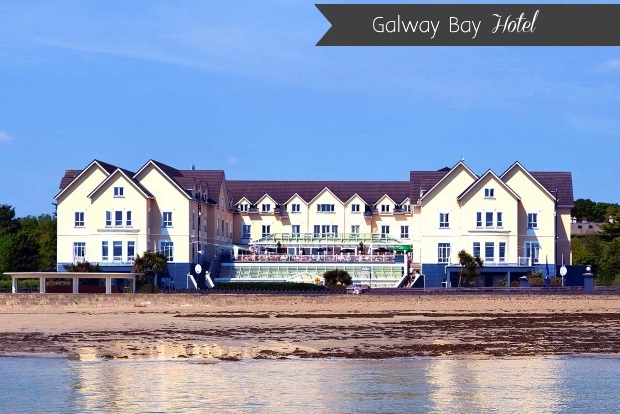 The elegant and luxurious Salthill Hotel enjoys a prime location on the beautiful Salthill Promenade, overlooking Galway Bay and the Hills of Clare. Its fabulous location means photo ops galore and the hotel itself is renowned for its superior food and outstanding service. The hotel’s Rockbarton Suite can host 450 guests and has everything from mood lighting and crystal chandeliers to bespoke centrepices. 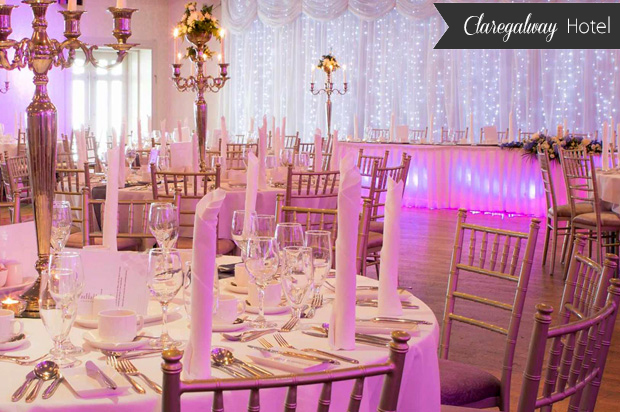 Renowned for its warm welcome, impeccable, friendly service and mouthwatering cuisine, Claregalway Hotel prides itself on its weddings. Their motto is ‘the perfect venue for the perfect couple’ and the 3 star hotel really does pull out all the stops, with a dedicated team to help you every step of the way. 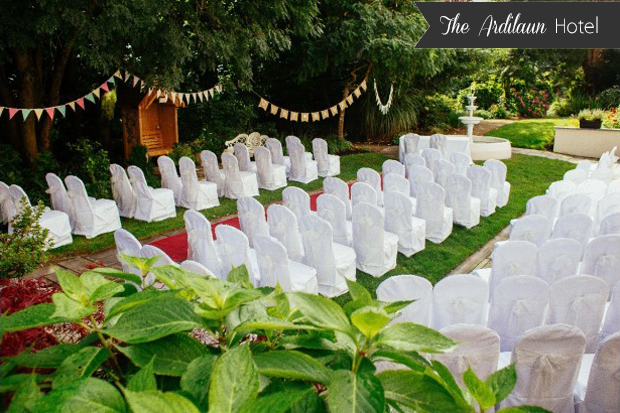 Their gorgeous grounds and nearby Claregalway Abbey are also a hit with couples after a pretty setting for their wedding photos. 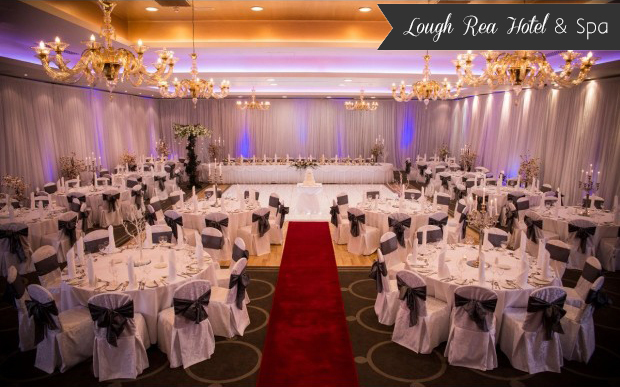 With its picturesque location overlooking Loughrea Lake, the 4 star Lough Rea Hotel has been the setting for many fabulous weddings over the years. Couples can look forward to celebrating in De Dannan Suite which boasts striking Murano glass chandeliers, luxurious velvet drapery and its very own bar. The hotel is also home to a roof top garden bar with panoramic views of the Galway countryside – perfect for Day 2 celebrations! 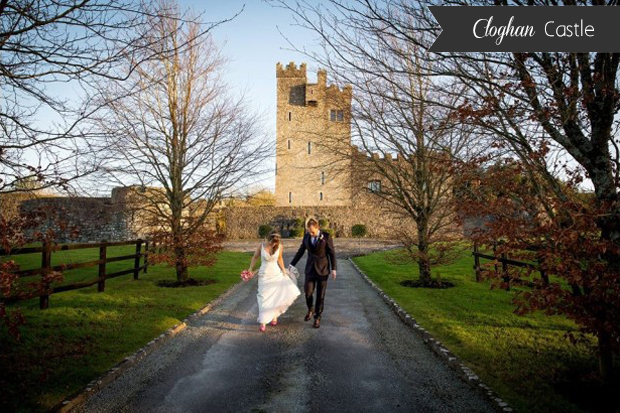 A unique combination of old world charm and modern comforts, Cloghan Castle sits within several acres of matured woodlands with breathtaking panoramic views of the Slieve Aughty Mountains. Renovated from the 13th century ruins of a fortified Norman keep, this striking medieval style castle with its ornamental stonework and imposing four storey tower can be rented exclusively for up to 120 guests. The Aran Islands Hotel‘s (Óstán Oileain Arainn) magnificent location on the unspoilt Inis Mór, Aran Islands is a huge attraction for couples. The romantic, rugged scenery coupled with the hotel’s hospitality and charm captivate couples and guests alike. Whether you want a marquee celebration or fancy a beachside blessing, it can be arranged! 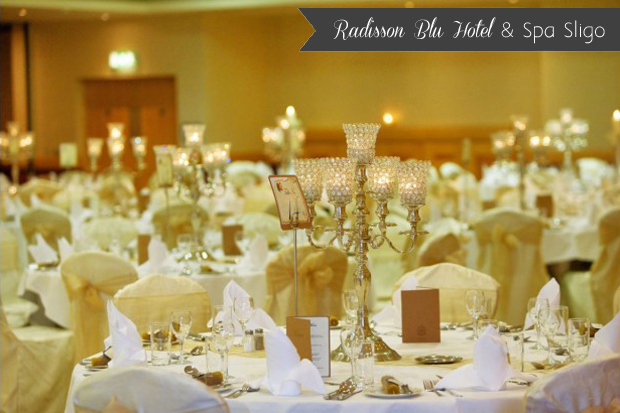 Weddings are a specialty at The Ardilaun Hotel with just one wedding a day! Couples can choose between the spectacular, high ceiling Connacht Suite with its striking chandeliers and plush decor and the intimate and enchanting Glenarde Suite, ideal for smaller celebrations. The perfectly landscaped gardens with its pretty arches and a fabulous fountain are a dream setting for wedding photos.